Every Wednesday night we have family night at my Mum's. Some weeks it's been on a Tuesday. Sometimes a Friday. We even had family night on Thursday's while A & Kate were training. But at least once a week, we all come together to have dinner at Mum's place. 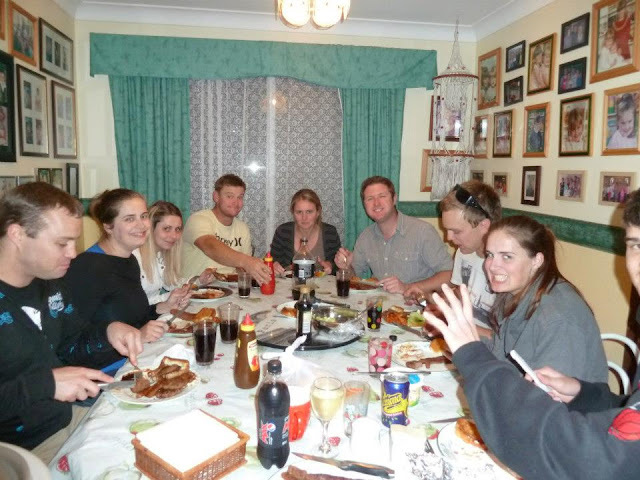 Last week we had family night at my place, rolls, fish & chips and chicken. Not a nice home cooked meal, but considering how well I cook that is actually a blessing in disguise! My Mum starts a new job next week and she'll be working full time until Christmas. Yesterday and today are her last week days off for a while. So for family night she made what she makes best. A baked dinner. Now because there are so many of us it's no small task to make a baked dinner that will comfortably feed at least 10 people. It's not just a leg of lamb and a few baked veggies. Oh no. Last night for example, it was a leg of lamb, a slow cooked silverside, a massive meatloaf, steamed veggies, baked potato and sweet potato, and about a billion baked potatoes. Mum's baked potatoes are legendary. People want to come to family dinner just to have her baked potatoes, they are that good. I do not exaggerate! It takes Mum hours of preparation and cooking to pull it off and we are all so thankful to have a Mum who not only can cook great food, but who loves us enough to go to all the effort. Even when we don't have a baked dinner she cooks amazing food, like apricot chicken, tuna casserole, beef goulash, a BBQ feast of various meats and salad. All our favourites. Whatever it is, we all love it, and look forward to family night every week. I am so thankful that my Mum lives close enough to go and visit every week. I am so thankful that my Mum loves us enough to go to the trouble of preparing all that food (and enough for leftovers that I can take home to Dave, he gets very upset if he doesn't get a doggy bag bought home for him if he has to work and misses out!). I am so thankful that I have a family that I love, that loves me, and that we all actually love to hang out together. And I am thankful for those baked potatoes. They seriously are the best in the world. And video cameras on phones. I am also super thankful for those when Dave is not able to make it to family night. What are you thankful for this week? Does your family live close by? Do you get along and get together for a regular meal? Linking up this fine thursday with the ever-fine Kate over at Kate Says Stuff. Treasure your mum, what a gem of a woman. We used to have family night every Wednesday growing up: it was always loud and fun! I miss those days. How fantastic! I wish I could do that, but there is a big body of water in the way.. curse you bass strait! 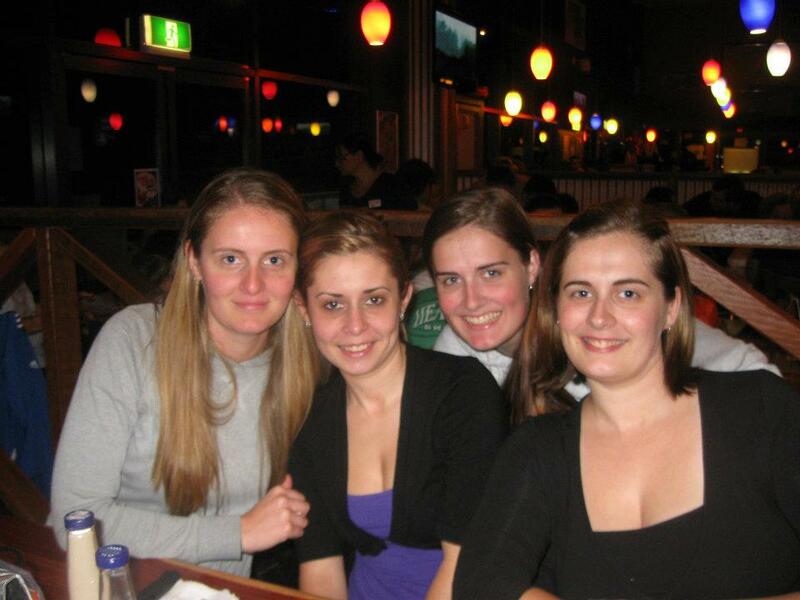 When we do go home, we have heaps of get togethers. My Mum loved to fuss over everyone and always makes heaps of yummy stuff. I LOVE how excited everyone is about her step in the video! Very loved! Look at her go! She's gonna be hard to keep up with soon! good job Kylies mum and good job Mia! How lucky are u!!! A big family, a mum close by and one that is a damn good cook. I think families who can continue meeting regularly and who cherish It experience so many healthy benefits for themselves and for their friends. And obviously your mum has had a lot of practice perfecting those mouth watering potatoes. 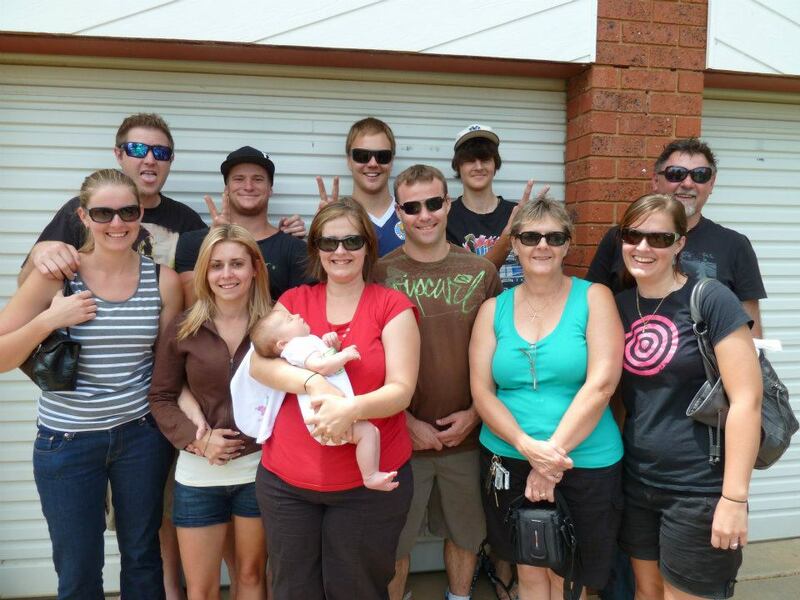 My grandmother would never let us wear sunglasses in a family photo. And my mother would never let me post a family photo.